The Large Hadron Collider (LHC) at CERN concluded its 2016 proton-proton run. 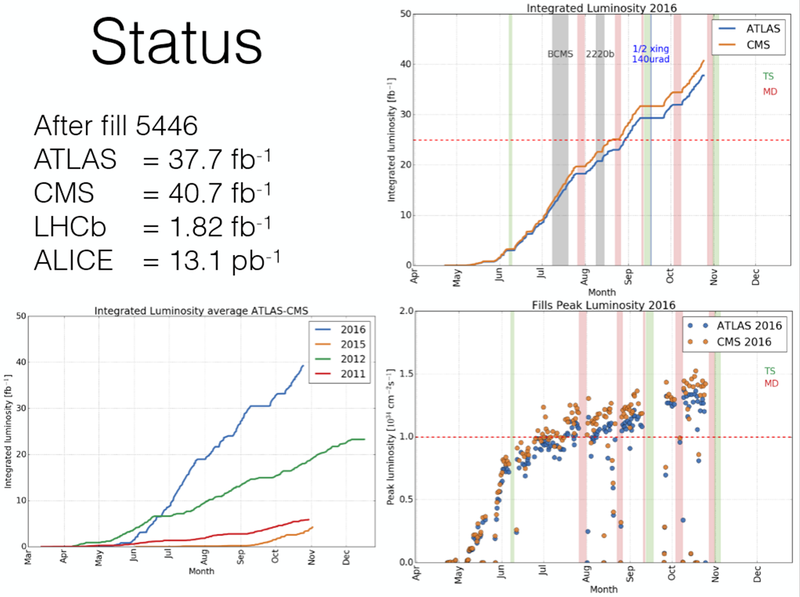 Integrated luminosity delivered by the LHC this year was far above the expectation. The following graphs summarize the performance numbers. For a definition of (inverse femtobarn) see this blogpost. This entry was posted in physics and tagged inverse femtobarn, Large Hadron Collider, LHC, Luminosity. Bookmark the permalink.